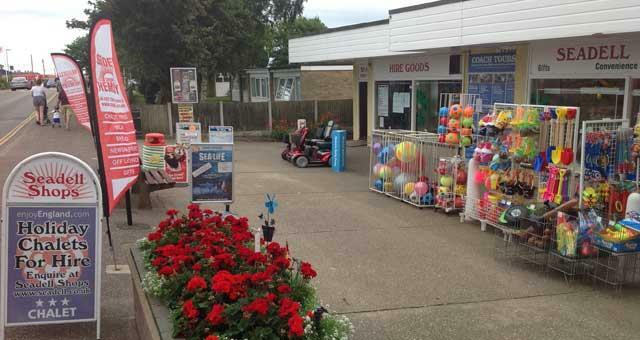 Seadell shops in Beach Road Hemsby, near Great Yarmouth, provide practically everything the holiday visitor might need. From gifts and newspapers to drinks and beach items. You can also book Reynolds coach tours here. The hire shop offers essentials like pushchairs, cots, highchairs and wheelchairs., plus BMX and mountain bikes for exploring the area. 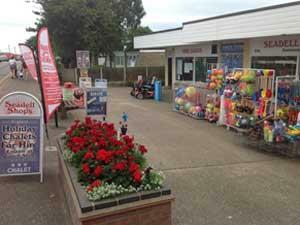 the shops are open every day in high season from 7.30am until late. Every day in high season from 7.30 until late. When reaching Great Yarmouth follow the A149 to Caister and then B1159 to Hemsby.